Under the guidance of MAG-32, the "Bulldogs" of VMA-223 operate the AV-8B Harrier in the day attack role. They participated in Operation Sharp Edge (from Liberia) and sent aircraft to Rota, Spain in support of Operation Desert Storm. Quite a bit of history with this unit. (Another AV8RSTUFF reproduction) Marine Attack Squadron 223 (VMA-223) is a United States Marine Corps fixed wing attack squadron that consists of McDonnell-Douglas AV-8B Harrier II (V/STOL) jets. The squadron is based at Marine Corps Air Station Cherry Point, North Carolina and falls under the command of Marine Aircraft Group 14 (MAG-14) and the 2nd Marine Aircraft Wing (2nd MAW). The squadron uses "Stone" as its radio callsign. Marine Attack Squadron (VMA)-223 is one of four AV-8B Harrier squadrons assigned to Marine Aircraft Group 14, 2nd Marine Aircraft Wing. Its mission is to provide offensive air support, armed reconnaissance, and air-defense for Marine expeditionary forces. 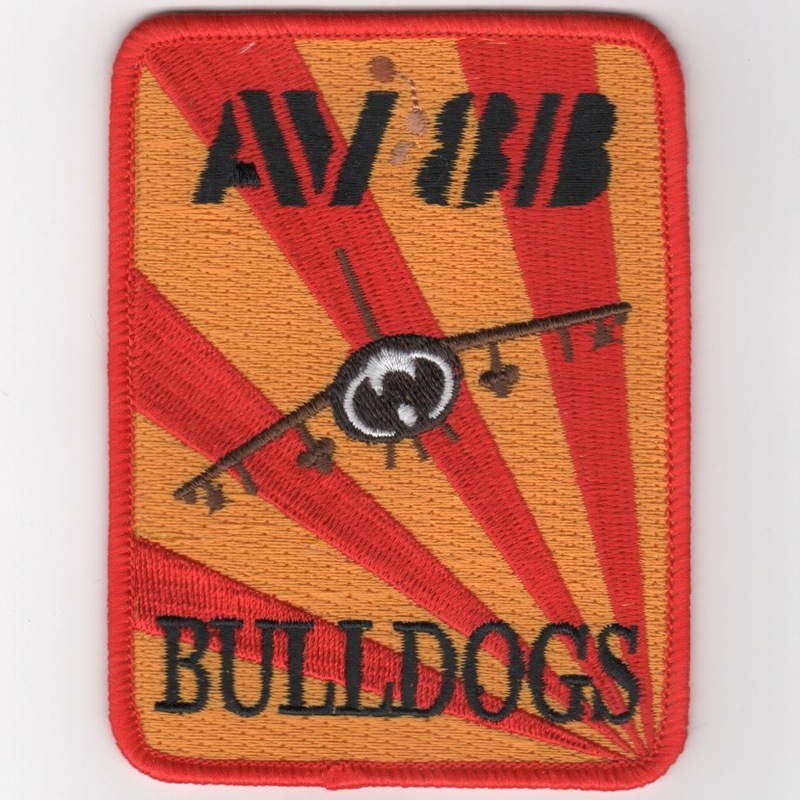 This is an exact reproduction of their historical squadron patch and does not come with velcro attached. 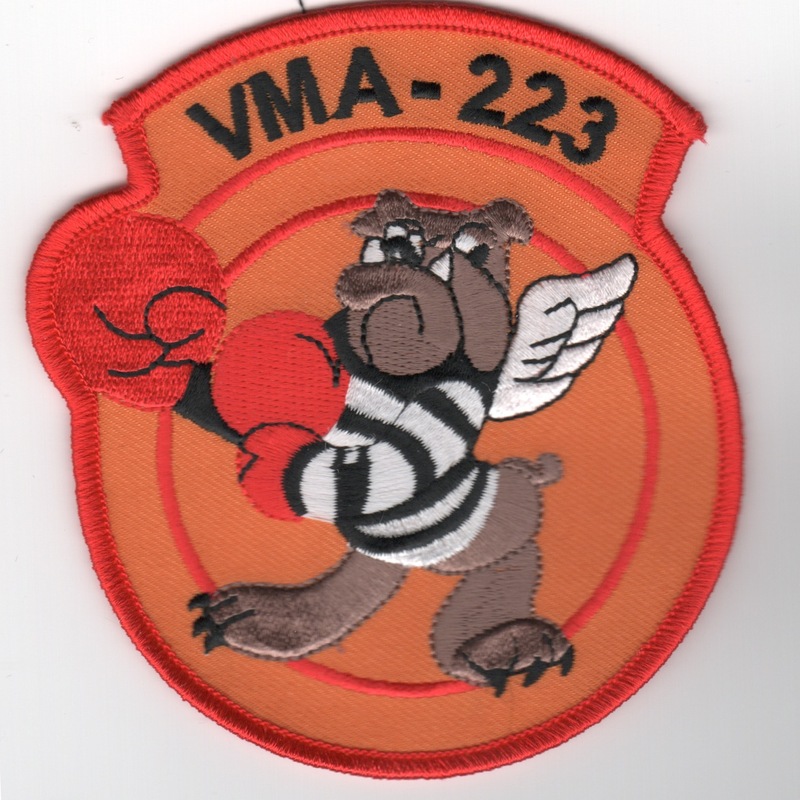 Homepage | Order VMA-223 Patches!